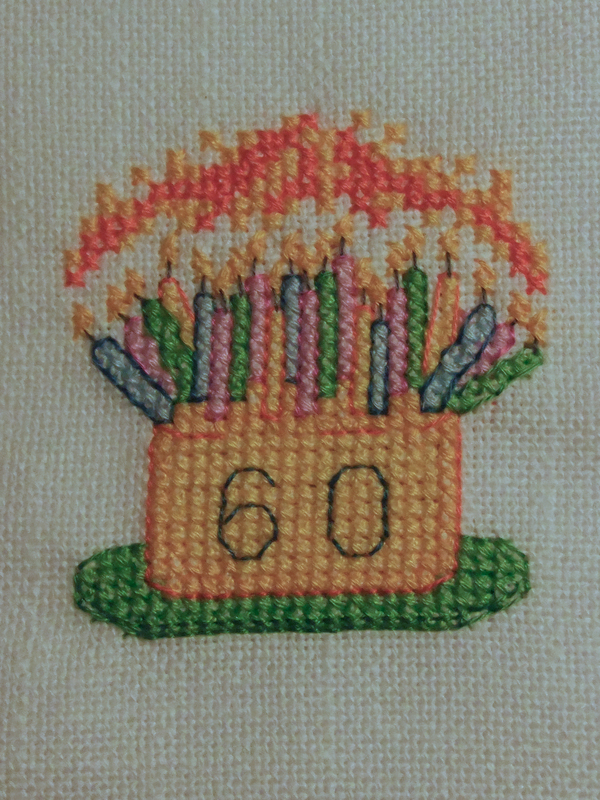 A 60th birthday card I made for my Auntie. I made this bookmark for a friend who was leaving his job as a chemistry teacher. I thought he’d find it fun if I made up his name (Sam) using the elements of the periodic table. It looks like a simple design but it actually took a lot longer than I thought it would to stitch. I really like the idea of using the atomic element symbols as letters to spell out words so I may use this idea for another project in future. 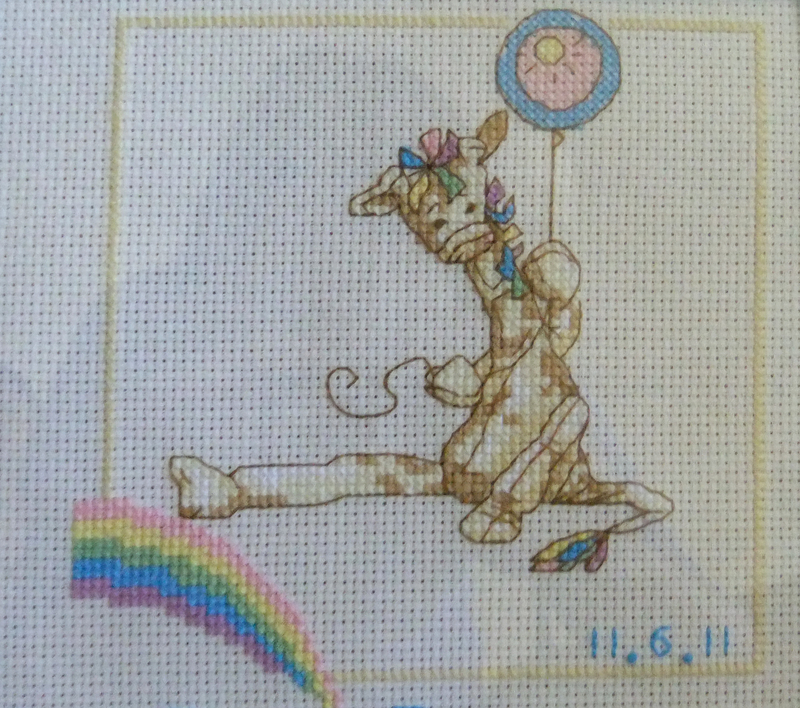 This cross stitch came as a freebie kit attached to the front of a magazine. I have to say that it originally started out as a present for someone but in the end I couldn’t give it away as I’d fallen in love with it while sewing it. It’s so sweet isn’t it, I had it mounted and framed and now it is the first thing visitors see when they walk into my living room. 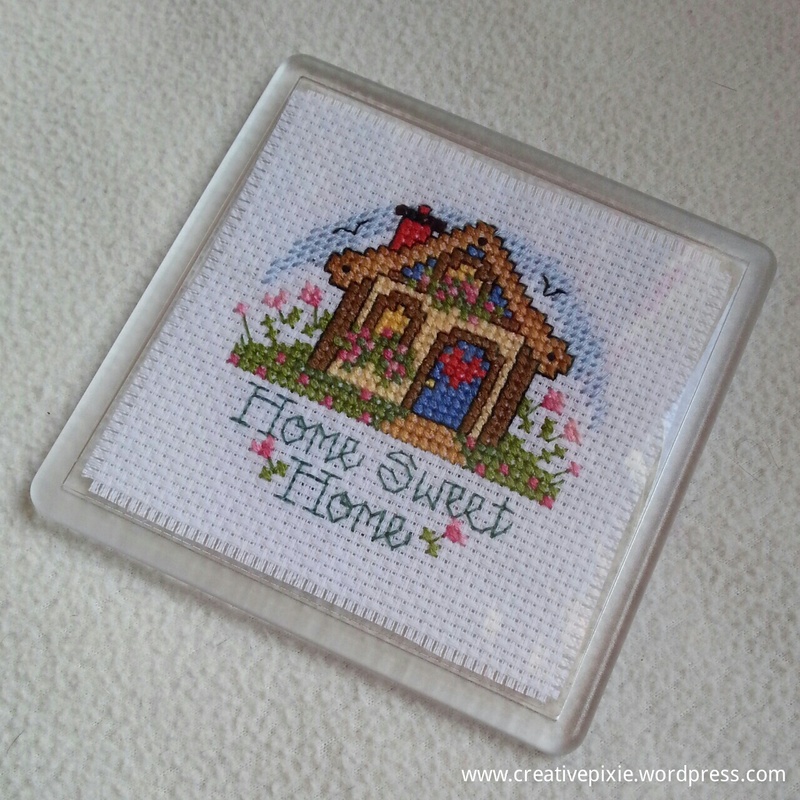 Love the home sweet home, I would have kept it too! Love the idea of the Periodic Table bookmark, an inspired idea and one I may copy in the future. Keep going with the blog, it gets easier once you’re in the habit of it. Beautiful! 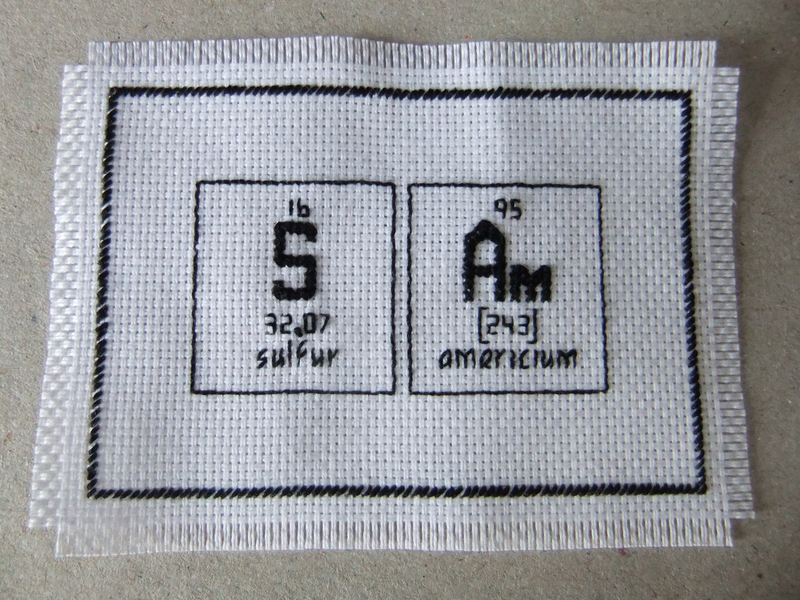 Love the periodic table/elements! You could have lots of fun making up words/ phrases with the elements. just seen the “chemistry” bookmark – fabulous idea and beautifully executed! i love the home sweet hiome house. where can i find the pattern? 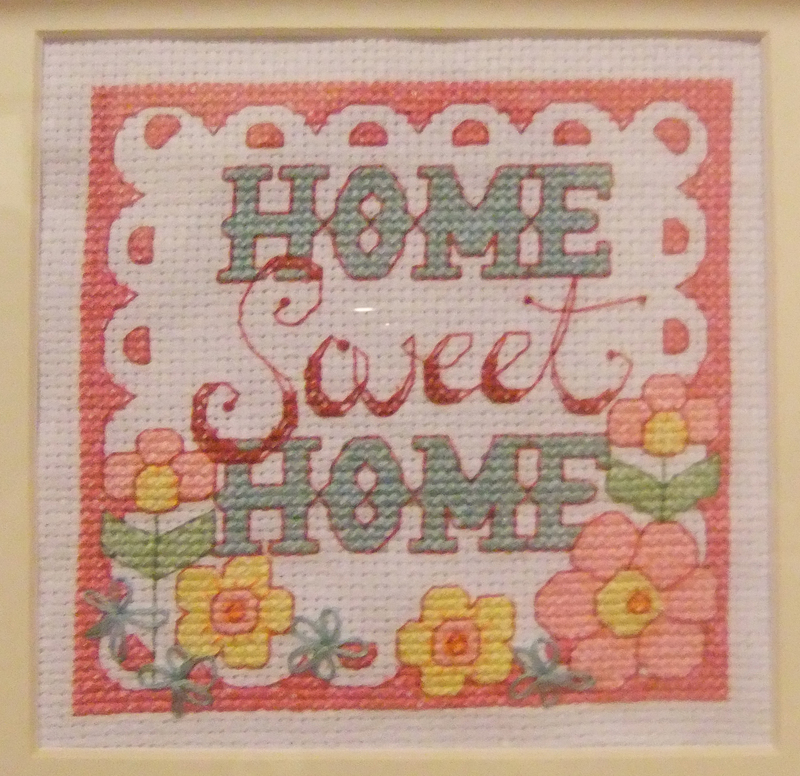 It was a free kit from a cross stitch magazine.